Privacy is a right that every individual is entitled to have. Having this right assures an individual that their personal information will not be divulged unless consented to do so. Forms in line with this are used in the variety of settings. When a notice to tenant has been issued, a privacy form or clause ensures that the landlord keeps their personal information private. An eviction notice is something a tenant does not want to receive. In cases where one is thrown into that kind of situation, the tenant must be wary of their personal information that their landlord has a hold of. The landlord has the responsibility of protecting such information and will be held accountable if any information leaks. As an interested applicant for residency in a rental property, they must be aware of the various process to undergo before becoming an official tenant. Once the applicant passes the screening process of the landlord, a number of legal documents are to be signed. One of the forms is a privacy form. 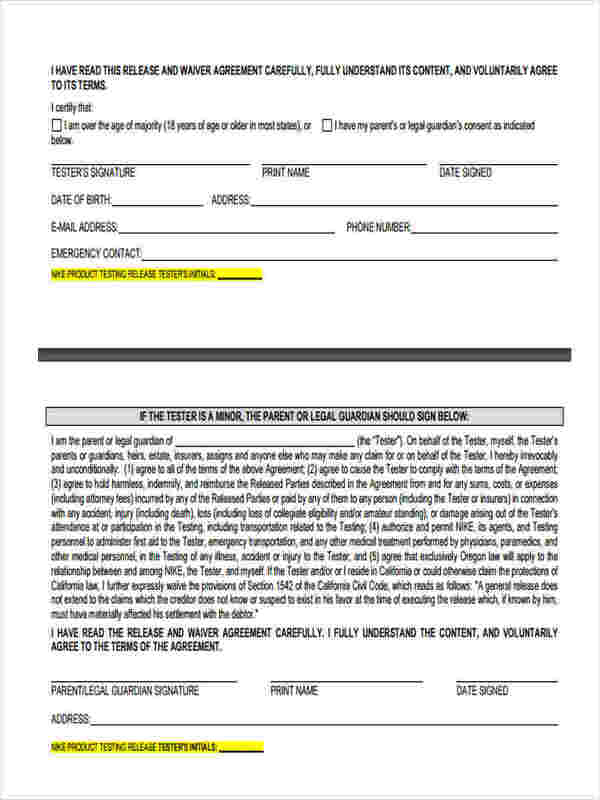 When this form is signed, one’s personal information is protected and authorized access to it is dependent on the applicant’s reach of consent ,which in this case includes the landlord. Since the landlord has access to the tenant’s personal information, the tenant must remember that access is limited to only the landlord even though Notice to Vacate Forms are being issued. Eviction Notice Forms are given to a tenant when their lease has expired or they have violated one of terms and conditions of their rental agreement. Whatever the cause may be, the tenant must vacate the rental unit when an eviction is issued. Their personal information should still be protected even if they vacate the property. 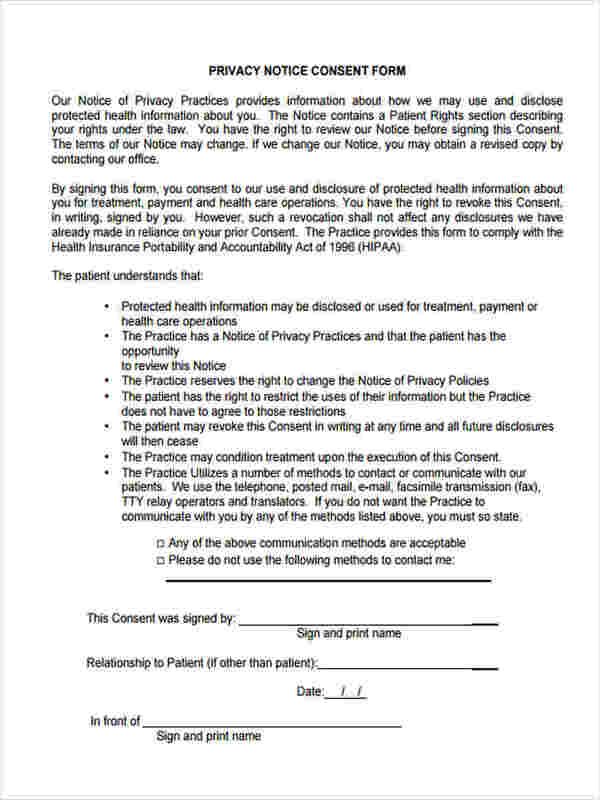 This condition is described in the privacy form he or she signed. 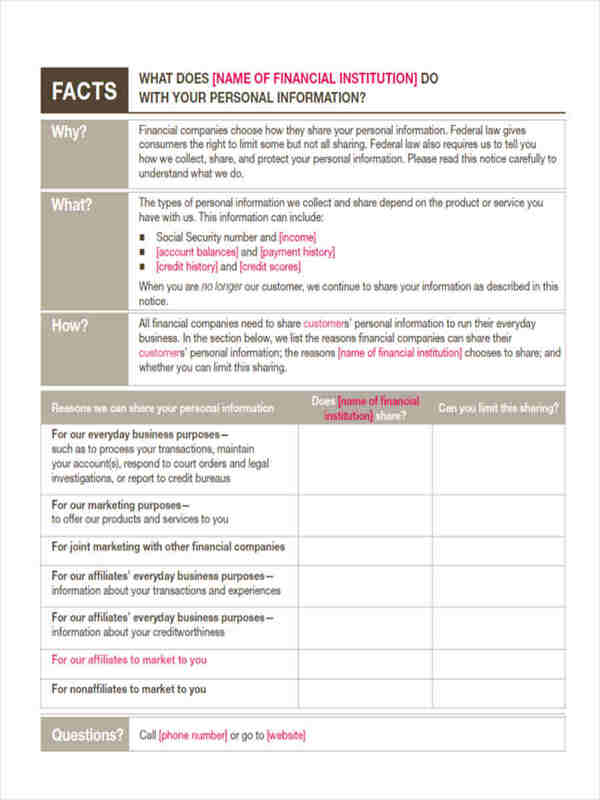 A privacy form contains conditions that pertain to protecting the individual’s information. In creating one, the person’s identity, purpose of collecting such information, and any other information that are allowed to be shared with our people are stated. These sections of information are essential in any kind of privacy form. 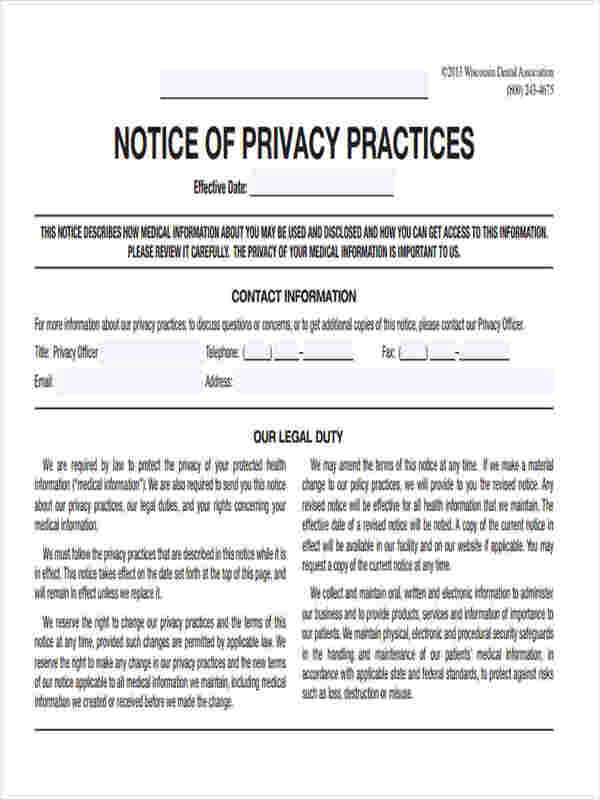 Privacy Notice Forms are considered to be important legal documents because they formally record conditions regarding the individual’s personal information. When the individual has affixed their signature at the end of the form, it indicates that consent and access has been granted by the individual to let designate other individual in knowing and using their information. 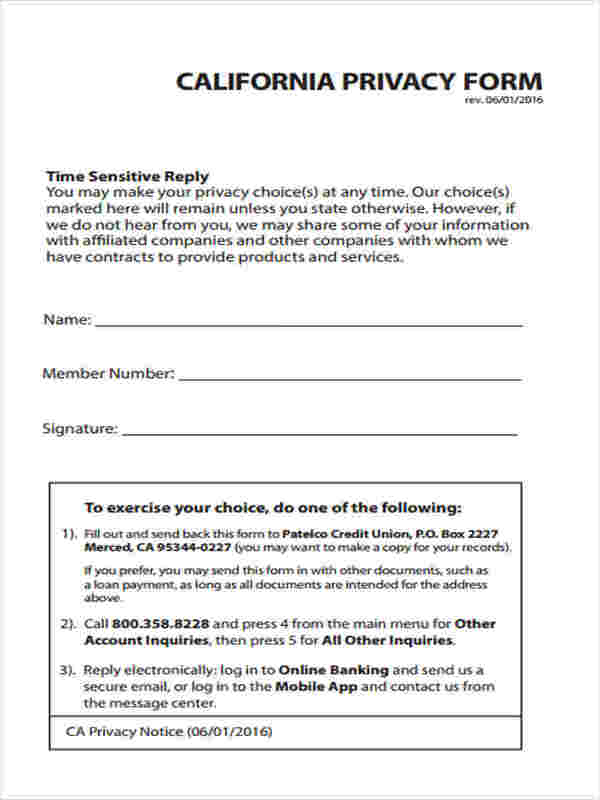 These forms should be distributed on a regular basis especially in settings that require the disclosure of information such as banks, medical institutions, and research studies. Since privacy is a right everyone has and is something essential to protect, a privacy form should be created to its best condition in order to be beneficial for both parties involved. 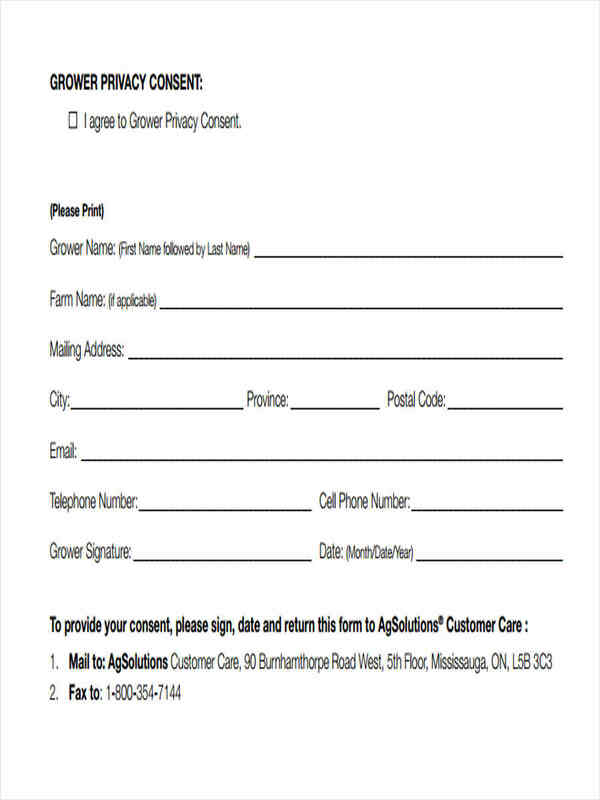 The format may be based from Sample Notice Forms and Notice Form Examples found online but it is important for the following sections to be included in the form. These factors include the identity of both parties involved are stated in the form. The information to be disclosed as well as the purpose for gathering such information is indicated in the privacy notice form. The extent of information access is an important condition to state in the form since the individual has the choice on how limited the information may be accessed by the designated party and other individuals who are not involved in the agreement.